The Obesity Paradox: Does Thinner Mean Sicker? 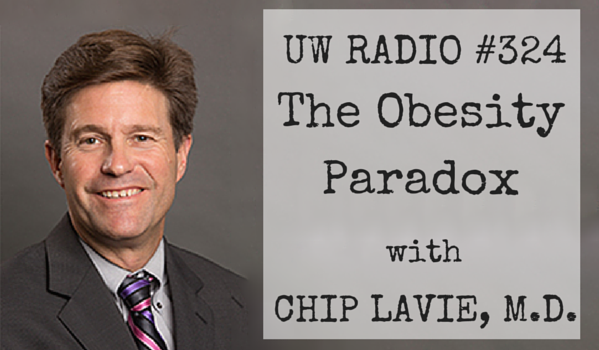 Guest: Dr. Chip Lavie, M.D. Person A (we’ll call him Norm) is categorized as “normal weight” on the Body Mass Index (BMI) scale. He’s perfectly content with his weight, eats fairly well, and seldom makes time for exercise since his weight appears to be ideal. Person B (we’ll call him Obi) has a BMI of 34, considered “mildly obese”. He also eats well, but manages to squeeze in at least 30 minutes of exercise 4-5 days each week. Well, according to the latest research, Obi the Mildly Obese Man has a lower mortality rate than Normal Weight Norm. I know, it sounds completely backwards. But science has recently uncovered an “Obesity Paradox”, revealing the protective nature of body fat.